Dan is a Licensed Professional Clinical Counselor specializing in Natural Health Alternatives for Optimal Mental Health. 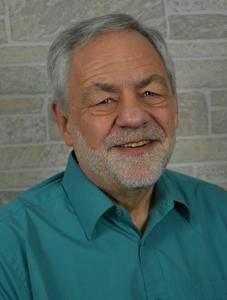 With over 35 years experience in Mental Health and over 20 years as a Neurotherapist, Dan is equally comfortable with a very wide range of ages and life issues. In addition to being an innovative therapist, Dan has presented at international conferences on revolutionary approaches within Neurotherapy, and to school and foster parent audiences on Neurobehavioral Problems such as ADHD and Reactive Attachment Disorder. Dan is an interactive, solution-focused therapist. His therapeutic approach is to provide support, education and practical feedback to help clients effectively address personal life challenges. He integrates complementary methodologies and techniques to offer a highly personalized approach tailored to each client. With compassion and understanding, he works with each individual to help them build on their strengths and attain the personal growth they are committed to accomplishing. Dan currently spends most of his time in supervision and management. His current caseload is generally limited to ADHD assessments, Neurotherapy and Natural Health consultations and collaboration with complicated cases. Dan and his family live out a personal relationship with God through faith in Jesus Christ. Dan and his wife Joy attend Madison County Vineyard Church in London, OH.